ISO file, often referred to ISO image, is a CD-ROM image file which can’t be used directly, but with some tools to decompress to widely compatible format like MP4 before playing on TV, or mobile phones. 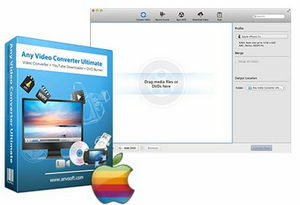 Any Video Converter Ultimate is one of the best ISO to MP4 converter for Mac. It provides 200+ output videos formats or specifically for popular portable devices. 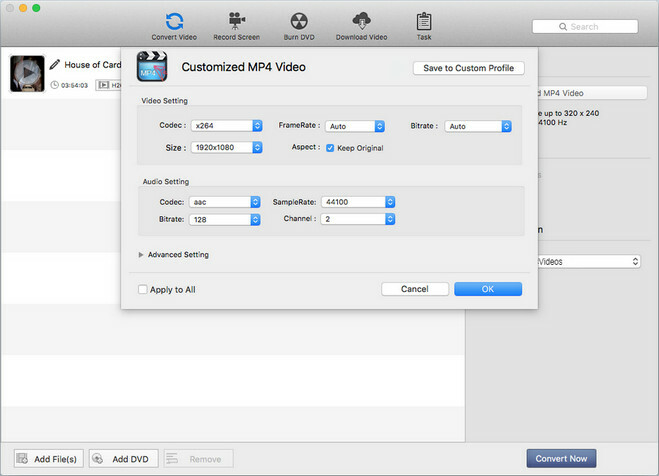 Let’s look at the tutorial on how to convert ISO image to MP4 on Mac with Any Video Converter Ultimate. Step 1: And ISO image file to Any Video Converter Ultimate. 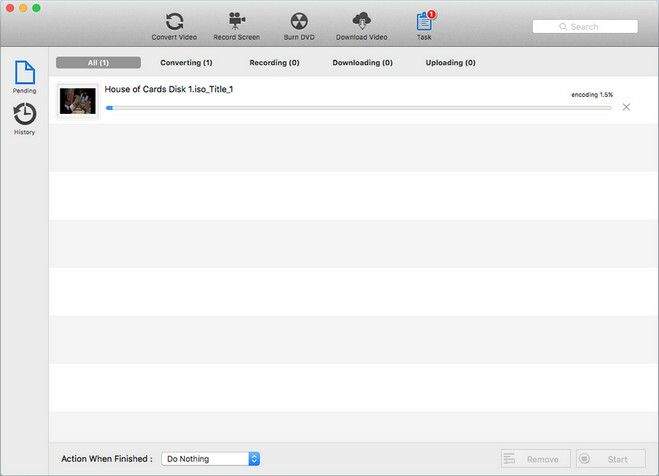 Click Add Files(s) button on the left bottom of Any Video Converter Ultimate interface to add the ISO file from Mac. Or you can drop & drag ISO files to Any Video Converter Ultimate Mac main Window. Click Profile icon to choose Customized MP4 or other MP4 video format for specific devices like iPhone, iPad, Samsung, Xbox, PS4 etc. You can click icon to customize the output setting including video size, video bitrate, video codec, frame rate, video aspect and audio settings. Step 3: Start converting ISO image to MP4. Click Convert button to start the conversion from ISO to MP4. After finish conversion, you can find the converted ISO file from the output folder. Just free download this ISO to MP4 Converter on Mac and try it right now!